Emerging Revolutionary War and Revolutionary War Wednesday is pleased to welcome guest historian and author Michael C. Harris this week. The Battle of Brandywine was fought on September 11, 1777. Visiting the battlefield to commemorate what took place there began just three years later. On his way to Virginia in 1780, the Marquis de Lafayette made a point of stopping for day at the battlefield where he was wounded and giving a tour to the officers that were travelling with him. An older Lafayette returned in 1825 during his celebrated 15-month tour of America. However, it would not be until after the American Civil War during the golden age of preservation that any kind of markers or monuments began to appear around the ten-square-mile landscape. During the 1877 centennial, artillery pieces were placed to mark the fighting near Sandy Hollow. Eighteen years later, a monument was dedicated along Birmingham Road supposedly marking the spot where Lafayette was wounded. Had Lafayette been alive, he would have been able to put out the error in location. Serious efforts to preserve and commemorate the battlefield did not begin until the beginning of the twentieth century. However, the task proved and difficult and remains so today since the sprawling landscape covers numerous private farms. In 1915, the Commonwealth of Pennsylvania placed 16 bronze tablets around the battlefield marking significant sites. Governor James Duff of Pennsylvania created and poorly funded a commission in 1947 to preserve the battlefield. That effort led to the purchase of the 50 acres along U.S. Route 1 where the present visitor center and the original Gideon Gilpin House and reconstructed Benjamin Ring House stand today. However, little if any, actual fighting took place on these 50 acres. Little would be done to preserve, interpret, or protect the battlefield for the next fifty years. 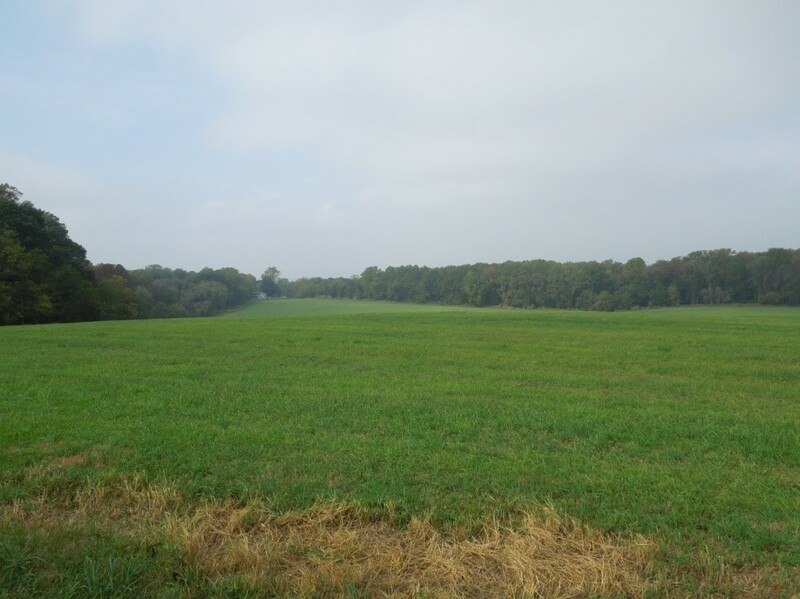 Despite being labeled a National Historic Landmark in 1961, the only preserved section of the battlefield continued to be the 50 acres bought by Pennsylvania in the 1940s. Although listed as a National Historic Landmark, much of the 10 square miles has been heavily developed. Much of the property within its boundaries is privately owned. Consequently, the viewshed of several parts of the battlefield has been impaired, and other areas are actively threatened by development pressure. Visitors today can experience the scenes of fighting in a variety of ways. 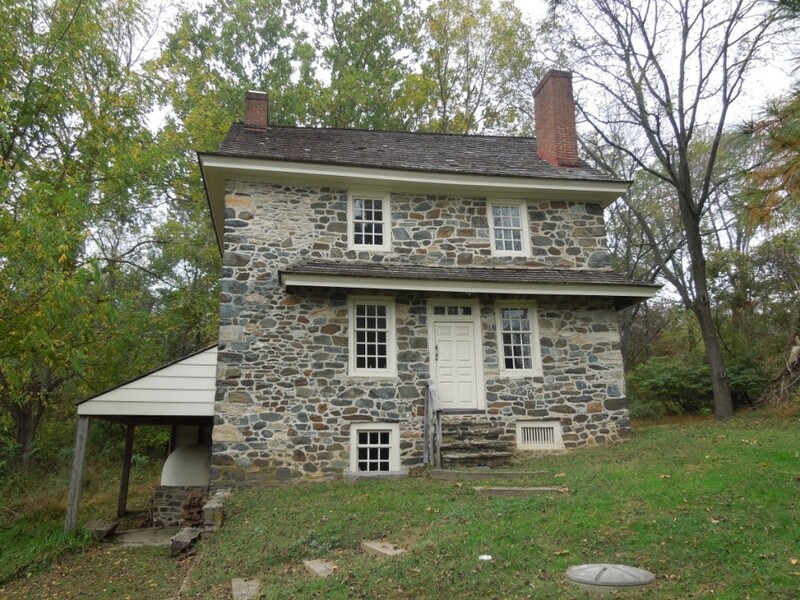 The Brandywine Battlefield State Historic Site preserves the Gilpin and Ring houses. A drive along U.S. Route 1 offers visits to the Barns-Brinton House (preserved by the Chadds Ford Historical Society) and the still-active Kennett Meetinghouse. Enthusiasts can pull into the parking lot at the Brandywine River Museum and walk a trail along the Brandywine to see where Chads’s Ford and Chads’s Ferry were once located. Other preserved sites include the John Chads House (Chadds Ford Historical Society), the 1704 William Brinton House, and the still-active Birmingham Meetinghouse. Over the years, large monuments were erected in the cemetery adjacent to Birmingham Meetinghouse. Much of Dilworth maintains its eighteenth-century character and is worth a visit. Two recent preservation successes are worthy of note. Birmingham Township maintains Sandy Hollow Park, which includes a walking trail over a portion of the battlefield where Adam Stephen’s men fought against Cornwallis’s flanking column. The township has also recently built a walking trail along Birmingham Road. The trail parallels the road and allows hikers to retrace part of the path the British grenadiers followed on the day of the battle. This entry was posted in Arms & Armaments, Battlefields & Historic Places, Revolutionary War and tagged 1777, Battle of Brandywine, Brandywine, Brandywine: A Military History of the Battle that Lost Philadelphia but Saved America, George Washington, John Chads House, Marquis de Lafayette, Michael C. Harris, National Historic Landmark, Savas Beatie LLC, September 11. Bookmark the permalink.